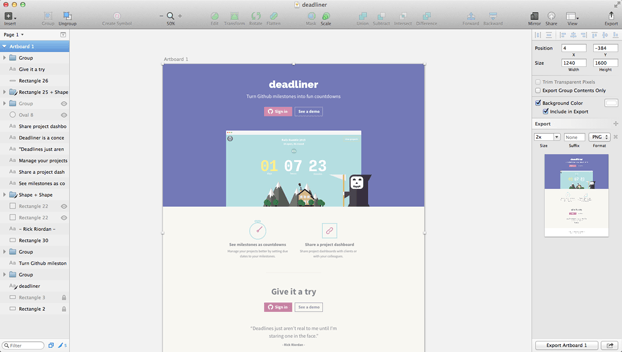 I design usable interfaces that are aesthetically pleasing. Always available for a chat on twitter or email. 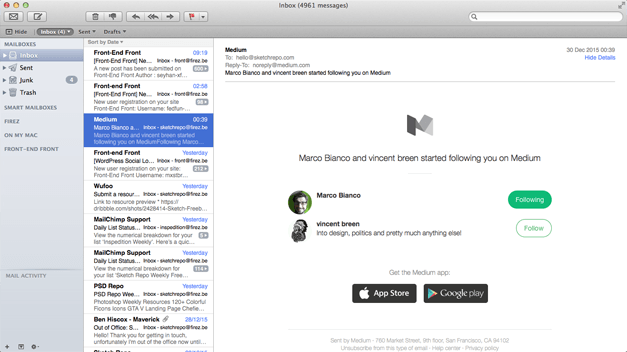 I’m quite content with the default OS X mail app. It handles all my non Gmail email addresses and it’s very stable. If I remember correctly, it only crashed once during the whole year. A joy to work with. 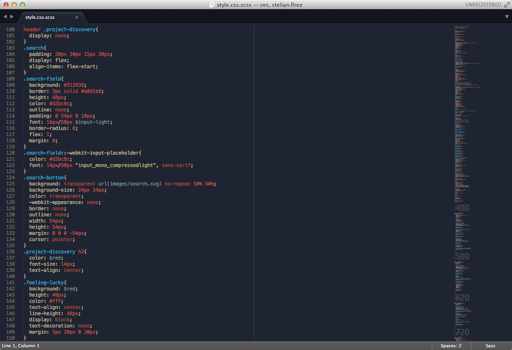 I’m actually writing this blog post in Sublime and I’m using the MarkdownEditing package to do so. Just shows that it can be used for more than just writing code. How We Won the Rails Rumble Hackathon. Again. Although the team wasn’t entirely the same as last year(Thomas and Quinten joined Maarten and me), the formula stayed the same. Three developers and one designer. The process wasn’t much different either. We had two Skype calls a few days before the hackathon in which we discussed some ideas. 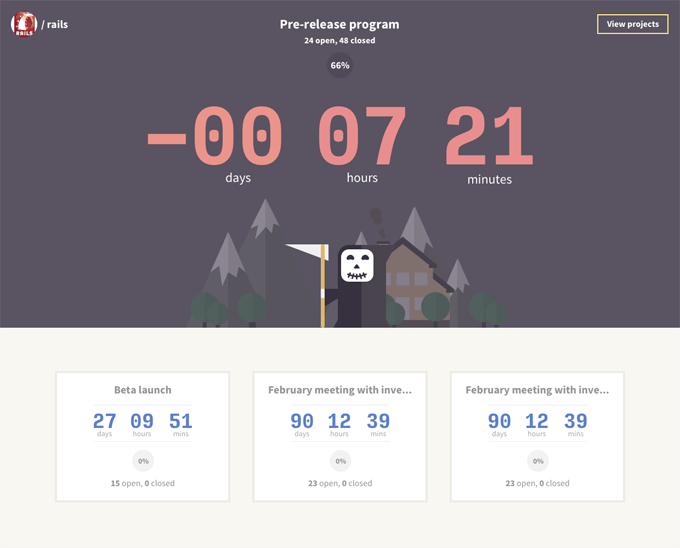 And, like last year, we chose one by Maarten: a web app that turns GitHub milestones into fun countdowns. We set up a Slack account in the morning mostly because I chose to work from home, while the other guys gathered at Maarten’s place. My initial plan was to have some “proto-design” ready by noon and then meet the rest of team to talk about it. As a side note, I don’t think it’s a bad thing to show unfinished work, especially when you’re on a short deadline. 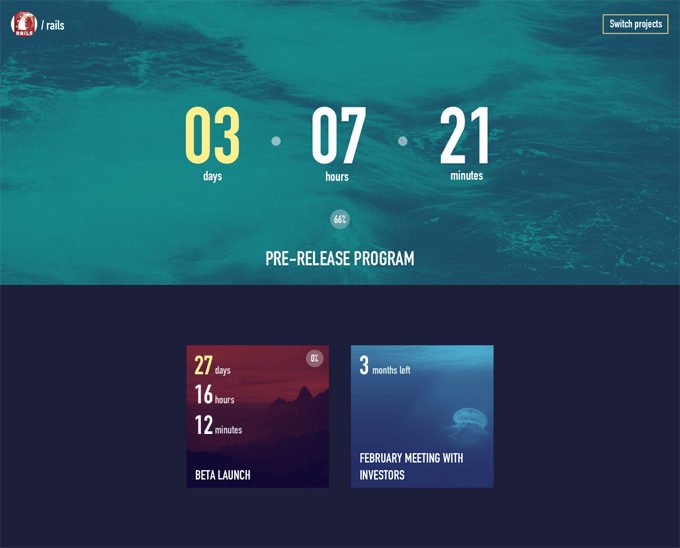 Unfortunately, design is not always easy to schedule. Sometimes you’re not lucky and a good idea takes longer to show up. But I respected my promise and at 12 o’clock I showed the guys what I had. No surprise when they said it looks a bit generic. So I decided to skip the in person meeting, which would have been a 2 hour round trip, and work on another idea I had. A good bet, ultimately. By the end of the day we had a big chunk of this page implemented and we were back on track. When we were building Front-end Front, my brother and I, we ran into a bit of an issue. Similar to HN and DN, we wanted to deemphasise the visited links, so people wouldn’t have to click again on articles they’ve already read. A pretty simple task. Our problem, as you see in the picture, was the icons’ presence in front of the links. No surprise here. 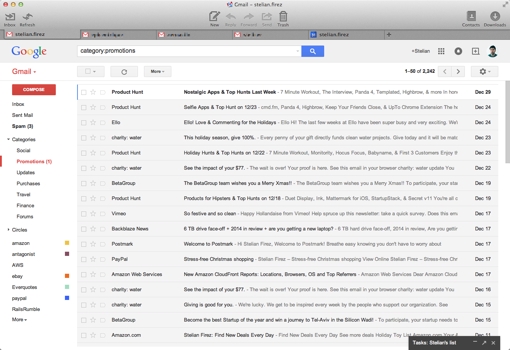 Same as last year, I use Mailplane to manage my Gmail accounts and, occasionally, Google Calendar. 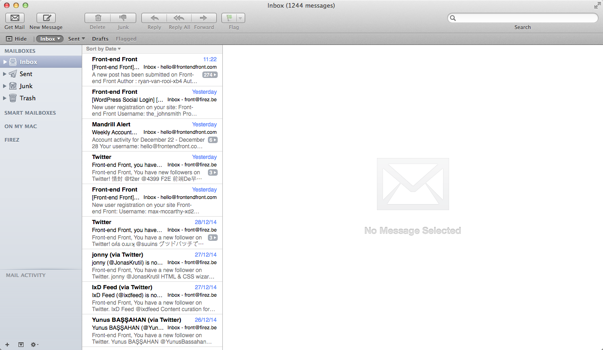 I use the default mail app on OS X for all of my non Gmail email accounts. It’s easy to set up, free and it doesn’t cause any problems for moderate usage. Having written more code this year than in last two or three combined, Sublime was at the center of my workflow. Reliable, fast, flexible. Because our team won the Rails Rumble 2014 Hackathon, we were interviewed by Sean Devine on The Ruby on Rails Podcast. Small clarification: The TV show about wrestling I’m mentioning during the interview was in fact about sumo. My memory didn’t do its job right. My apologies to all the Belgian wrestlers. In case you didn’t see it on my Twitter page, this year I was part of the team that took the first place in the Rails Rumble Hackathon. Our app, RefactorCop, managed to gather 735 points which made it the most voted entry in the competition. That’s when we had our first team meeting. Maarten, who I already knew, contacted me a few days before, but Sunday evening was the first time ever I’ve talked to the other two team members, Dale and Anthony. And not even in person, but on Skype. Being a kickoff meeting not a lot of things were decided. We made a Google Docs document for everyone to write their app ideas and we scheduled the next call for Wednesday. That’s pretty much how the evening ended. It was even shorter than the first one. Maarten had this idea about an app that would scan open source code on Github and return a list of issues for a certain project. This way, anyone interested in contributing to open source would be able to discover code that might benefit from improvements. 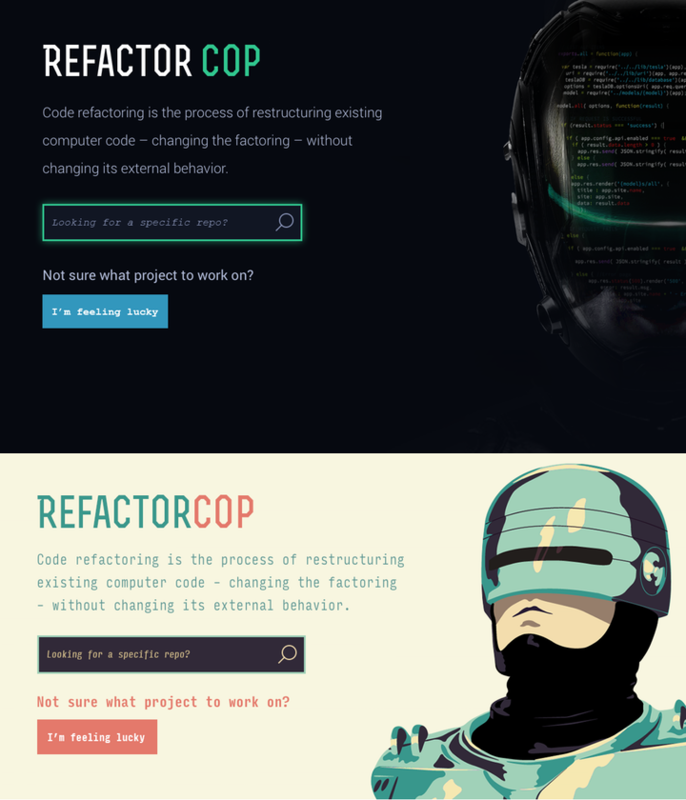 He even had a name for this app – RefactorCop. It didn’t take long before we decided this is what we’ll be working on. How we’ll be working was not really a problem either: I was in charge of design and front-end while the others would do the rest: setup Heroku, code Ruby on Rails, configure Rubocop, integrate my HTML and CSS, etc. We even had a place where to work. Anthony put his famous garage at our disposal. The guys accepted, I sort of declined. Moving my iMac seemed a bit of a hassle, but I promised to visit them on Saturday, so we can talk better. Fun fact: I found out that Anthony’s house is within walking distance of where I live. Starting earlier on Saturday morning, the first idea I had was to use the newer Robocop style. 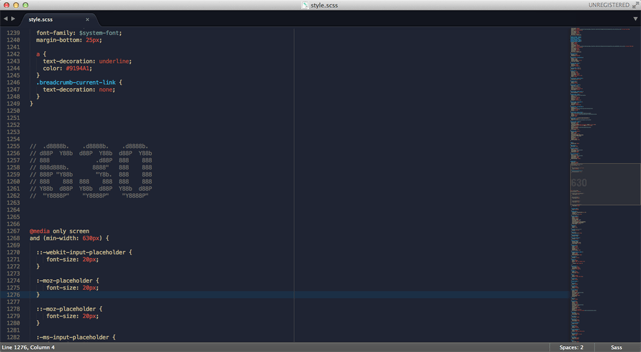 But as I was arranging the elements on the screen, I realized the theme was a bit dark, maybe too “robotic”. So I thought I should try something else, spend a couple of hours to see if I can come up with something else. This time I chose the classic Robocop as a starting point and went for a friendlier color scheme. Once I had the two half of homepages ready I put them on Skype and went to the garage to talk to the guys. By the time I got there they already had a favorite. This helped a lot because in the next hour we managed to establish what other information will be displayed on the homepage and how many more pages need to be designed. 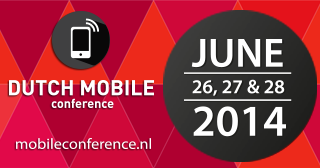 Sometime in April, I’ve been contacted by the nice people from Ibuildings if I’d be interested to give a presentation at the upcoming Dutch Mobile Conference. I said ‘yes’, so a month from now I’ll be in Amsterdam speaking about Web Performance Optimisation. In the beginning of the talk I will try to make some strong arguments, backed by numbers, why Web Performance Optimisation is still extremely relevant and how it helps users and businesses as well. Afterwards, my focus will shift towards listing the most effective optimisation techniques and explaining how they work. I will also share a number of tools that help automate these techniques. This will be the core of the presentation. The final part of the session will be dedicated to discussing the new challenges of web optimisation and how to make better use of a device’s capabilities. Besides me, obviously, there will be other talented people that will speak about various topics, so if you decide to attend DMC14 I’m sure there will be plenty of interesting things to see. In the meantime you can get tickets here. Another keynote that interested me a lot was given by Sakri Rosenstrom. He shared a few tips and tricks on how to improve the performance of HTML5 Canvas, something that I’m currently using on a project.